Death by Great Wall: Gotcha Day - Yea or Nay? Anyway, I think it's fine for you to not celebrate on top of all of your other holidays/birthdays. In a way, it could make your bio children feel less important in a way if Wenxin got 2 special days instead of 1 like them. Em, if you do decide to write a blog post on this, make sure to let me know, in case I don't see it. And thank you so much for commenting.I can't say it enough. Adoptive parents need to listen to adopted adults. We need you. We are currently in the process of adopting and my biological children have expressed they do not want our family to celebrate gotcha day because theyvfeel it would be unfair to them. My oldest son who is 14 said that our new child has a birthday nd that is what we should celebrate. This makes me hink more on the sitation. Thank you! I think my bio kids would like it -- at first. They are super excited to have a brother through adoption. But year after year. . . I'm pretty sure someone would eventually get tired of Wenxin being "celebrated" twice as much as the rest of them. When you first adopt, it's so much about the process, the adoption. So, for us, all of that was so fresh on our minds, we wanted to celebrate the day we brought our precious child home. (She was an infant, btw.) We never called it Gotcha Day, instead we referred to it as Happy Homecoming day. So, for about 3 or 4 years we would buy a little cake and tell our daughter it was the happiest day of our lives, which it was and still is! But, we began to think about the fact that we were focusing on the fact that she was adopted, and we were making it a big deal every year on this date. When, in reality we wanted her and ourselves to just focus on the fact that we were a family...forever! It didn't matter how she joined our family, it only mattered that she was with us always. So, we don't "shine a light" annually on that day in the form of a celebration, but we hold it close in our hearts and always mention to one another how truly special that day was for us. I never want our daughter to feel like we "got" her. She was given to us from God above and he planned for us to be together. I love this perspective. Thanks for sharing. Our son is older (9 now, 6 at adoption) and he is very happy to celebrate "Forever Family Day", our families term. For him he was leaving a bad/hard place that caused a lot of trauma. He is very happy to be a part of this family and is actually fearful that something would change that. So we celebrate our children and they we met and became a family. Our children know that they are adopted and are at this time both okay with it. Time will tell as they age what they are comfortable with and will make changes accordingly. We usually have a dinner that they request and maybe an ice cream cone - but no presents. Our family is a gift and we talk about that a lot. I think that making it a low-key celebration is wise. That way it is remembered and celebrated, but hopefully without putting unintentional pressure on the adopted child. After our first adoption, we celebrated "Adoption Day" for a few years. Then, like you, it sort of became a lot to keep track of with multiple birthdays and adoption days. The "Gotcha Day" phrase didn't ever sound quite right to me and kind of feels like it goes along with the whole "rescue the orphan" debate. As my kids have gotten older, for them it clearly wasn't a reason to celebrate but we do have a dinner time conversation about how many years it has been which then often turns into very healthy conversation fielding the inevitable "why, how, and when" questions. Thanks for commenting, Jennifer. I thought about your family as I was writing and wondered how you handled this. We are coming up on our 2nd family day. We had no desire to make this a big production and kept it just us. We did get a small cake and we got each of our 4 kids (3bio and 1 adopted) a silver charm with their names in Chinese. They LOVED it. I had not really given year 2 much thought except that if we do something it will be low key. No bells and whistles. It is interesting how I felt this was something we needed to share together but did not feel good about inviting the whole clan of family and friends. Thank you for bringing this up, I will definitely be discussing this with the hubby before our 2nd family day. Jealous of the silver charms with names in Chinese! I would love those. And I think it's wonderful that you gave each child a meaningful gift, not just singling out the adopted child, making it a true Family Day. I remember a story someone(cant remember who) told about the bio kid wanting a "gotcha day" and they celebrate the day found out about the pregnancy. :) We celebrate (Matt always likes an excuse for giving a gift)because it was a happy day. Having been a baby, Sam doesn't think about it in terms of her loss. Really, the loss happened months earlier. We have 6 adopted children who look forward to their Family Day as we call it. We recognize what day it is at breakfast with a small item that we picked up from them, mostly while we were in China (something like a string bracelet, a book or a jade cross necklace). Then they get to choose the menu for dinner that night. It is fairly low key, but definitely something our kids want. They were all adopted older and remember their lives in both places so perhaps that is part of it. They range from 6 to 15 now. They have chosen to keep track of how many years it has been and know that this family is forever...even when mom and dad are gone. Six separate Family Days? You are amazing! One of the things that boggles my mind is which day to celebrate - exactly. The day we picked him up at the orphanage? The day we flew home and met up with our other kids? I kind of think more about his adoption month -- since we spent almost 3 weeks in September in China. We definitely remember each year and talk about it. We just haven't made an event of it. I like a lot of the ideas being shared here. We met our son (9-adopted form US foster care) on his 7th birthday, so I think there will always be a mention of that as we celebrate his birthday. For him, it's positive thing. The following year, we had his adoption ceremony in January and the judge actually told him that we would need to celebrate with a cake each year! This past January, we has a little party with a few friends and a cake. It was great for our son--he's very social and loves attention. We did get him an (educational) gift and a couple friend brought a little present. I tried to stress that we wouldn't necessarily have gifts or do the same thing each year, besides cake, and I expect he won't want to as a teenager. Our bio children a re a lot older (21, 18 and 16) so they understand that he has different needs so no problems there. I think this is another of those things that's very personal for each family. I could see how it could be very stressful or painful for some. Also, I don't like the name Gotcha Day. We just called it his Adoption Birthday or Anniversary. We celebrate our twins' "Adoption Day" as the day we went to court in Russia and got to go to the orphanage to get them. We've kept the focus more on remembering their Russian heritage. We eat a Russian meal and, for the first few years, gave them little Russian gifts we had picked up. We also try to look at pictures or video from that time. At age 10 now (adopted at 1), they still look forward to this day. Even though their younger brother is not adopted, he has not seemed bothered by this celebration. We just keep it low-key, and will continue to evaluate each year. 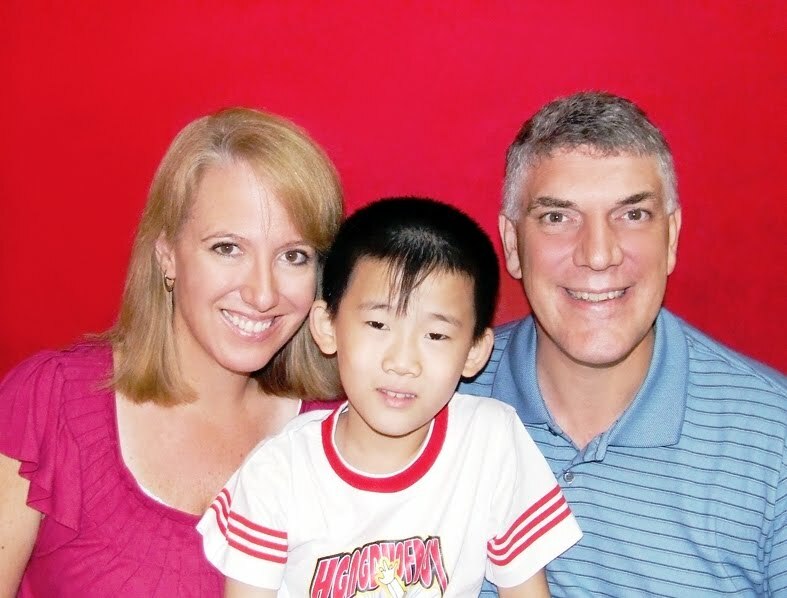 My daughter is 7 and was adopted 5 years ago from central China with Cleft lip/palate. We do not celebrate Gotcha Day. It creates tremendous stress and anxiety in our daughter. The very first year we tried to celebrate it, the day coincided with a business trip of my husbands. The morning of Gotcha Day we were talking about driving my husband to the airport when suddenly our little daughter asked us if that was the day we were taking her back to China!! I was horrified. In her little mind she had confused all of these things together. We instead try to observe Chinese New Year because those days are fairly close to each other. My husband and I brought our daughter home from China in April. Here is an excerpt he wrote from our blog describing his feelings on what this day should be called. I enjoy your blog, Dana, and thank you for sharing your experiences! "My coworker and I discussed how acceptable words and phrases in our language are always changing, and we speculated that years from now someone will find that phrase inappropriate like I do and it will be called something else. We then went to thinking about what else it could be called. We went from no children to two 8-year olds from a Russian orphanage with the stroke of a pen. Since we didn't have bio children we didn't have to take that into consideration with our adoption day. We call it our "Family Day." Because it happened on July 4 we incorporated it into the national holiday by picking something to do as a family that was separate from everything else normally done on that day. For example, we'd go on a bike ride or go to the zoo before joining the rest of the country in bbq and fireworks. We never made it big, but we paused to remember the day we became a family. Now that our kids are grown, I'll still call them on the phone and say "Happy Family Day!" Wenxin is a lucky little boy! We adopted our 2 children from Russia 7 years ago. They were almost 2 and 3 1/2 years old at the time. We have celebrated our "Gotcha Day" every year since with a small celebration of a special dinner and stories of anything/everything related to this. They love this day and look forward to it. Right now, they view it as a positive celebration. If this viewpoint ever changes, then naturally, this celebration would evolve with it. We celebrate their Russian heritage throughout the year, not just on this one, very special day.